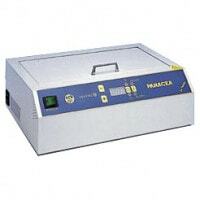 The hot air steriliser serves to sterilise non-heat sensitive instruments and materials. In our online shop, you will find hot air sterilisers and sterilisation accessories at affordable prices. 452,02 EUR* Not ready for shipping. Reserve today and we will ship as soon as possible. 32,30 EUR* Not ready for shipping. Reserve today and we will ship as soon as possible. 52,00 EUR* Not ready for shipping. Reserve today and we will ship as soon as possible. The hot air steriliser is used for sterilising medical instruments in foot care clinics and for reprocessing instruments in cosmetic and nail studios. Because dry air has lower heat capacity than saturated steam, hot air sterilisers need to maintain higher temperatures and longer exposure times than when sterilising with autoclaves. Therefore, the hot air steriliser can only be used for non heat-sensitive instruments, such as metal scissors or tweezers. The hot air steriliser is no longer the standard technology and is, therefore, not recommended for use in surgeries. An error in loading the hot air steriliser (too many or incorrect items) can cause the temperature to not evenly dispurse over the sterilised wares; thus not completely eliminating the microorganisms. 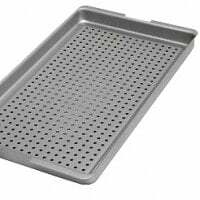 Therefore, when using a hot air steriliser, it is vital to correctly fill the tray. Even instruments can only be sterilised with a hot air steriliser when they are in metal containers since the common, paper sterilisation packaging does not withstand the high temperatures. Upon removal of the unpacked instruments, it should be noted that the instruments immediately come in contact with the germs in the air and, thus, can no longer be strictly considered sterile. In this category, we have gathered a selection of hot air sterilisers and compatible accessories for hot air sterilisation. Here, you will find the Melag 75, among others. This steriliser is characterised by an innovate ventilation system that evenly distributes the dry air throughout the inside of the hot air steriliser, which provides an even better sterilisation result. 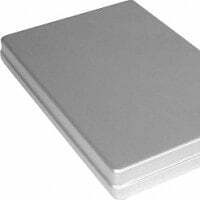 Surgical instruments and consumables can be found in the category "Surgical Supplies" in our shop. 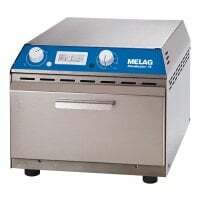 You would like to order a hot air steriliser or autoclave, but have questions about our machines? Simply talk to us; we will gladly advise you!